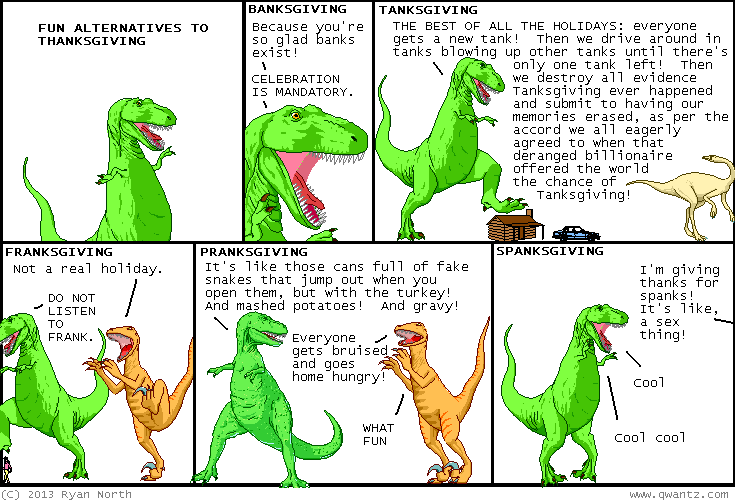 Dinosaur Comics - November 25th, 2013 - awesome fun times! –I COULD TOTALLY BE DYING RIGHT NOW. November 25th, 2013: This year I wrote dialogue for a game called "Stick It To The Man" and it's out now on Playstation and Vita (MORE PLATFORMS SOON). And it's been getting really good reviews, which is awesome! If you are looking for a FUN GAME TO PLAY and MORE WORDS I WROTE, I say "check this out I think you'll like it!"